The little ones can be pretty naughty, impulsive and disobedient and that is absolutely normal. But sometimes their behavior goes outside the norm and turns into a challenging and difficult one. When a kid is acting out – ignoring all the rules, ‘no’ restrictions and getting engaged in various disrupting activities – moms and dads feel the impact. They are simply helpless, when they have to somehow respond to the child’s restlessness. And finally they end up with the question – What is wrong with our child? Disruptive behavior disorders represent the category of behavioral defects. The word ‘disruptive’ is used for the reason that affected kids are literally disrupting activities and individuals around them (including communication with peers, at home and at school). The most common types of disruptive behavioral disorders are conduct disorder and ODD or oppositional defiant disorder. As for the kids with ODD, they display constant disobedience and angry outbursts. This kind of behavior is typically directed at teachers and parents, but it can also target the other kids and siblings. 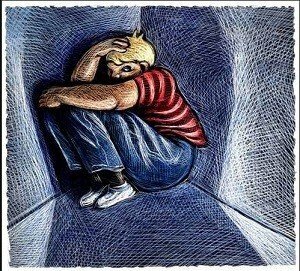 Conduct disorder is a more severe child’s condition that involves violent behavior towards people and animals, as well as the other types of criminal activity. It’s generally believed that disruptive behavior disorders usually occur in early years and represent a great deal of kids, who receive mental health services. According to the recent researches in the United States, oppositional defiant disorders can arise anywhere between 2% and 16% of young people. In the US, conduct disorders or CDs are more common among younger boys and constitutes about 9%. The symptoms of the disruptive behavior disorders tend to vary according to the kid’s age, as well as the type of the disorder the child suffers from. Kid’s social skills and temperament will also influence the symptoms severity. The most common examples of signs and symptoms of DBD may be blaming the others, lying, social isolation, refusing to act according to the set rules, playing with fire, stealing, bullying, seeking an ability to take revenge and being cruel to the animals. Those are behavioral symptoms. As for the cognitive ones, they include frequent frustration, inability to apply problem-solving skills, difficulties with concentration and inability to think before talking. And finally, the psychological symptoms involve constant negativity, weak self-esteem, lack of empathy, chronic irritability and irrational sense of grandiosity. Kids and teens, who suffer from conduct disorder, oppositional defiant disorder or any other sort of behavioral abnormality, must seek for professional treatment from psychiatrists. With the proper therapies, children can learn to behave positively and to face with the life situations in a less stressful way. The earlier therapy begins, the better future is waiting for the little ones. In case kids are not provided with the right treatment, the DBD effects can be long-lasting and even cause antisocial personality disorder.